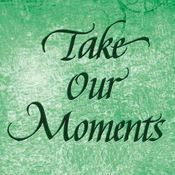 For worship, we used the Take Our Moments and Our Days books. The TOMaOD prayer book has since been turned into a free mobile app, says this report in The Mennonite (December 2017). Please click to download the iPhone and Android versions of the app.